No. 12, Jalan Haji Abdul Karim 26/KS2, Taman Klang Ria, 41200 Klang, Selangor, Malaysia. 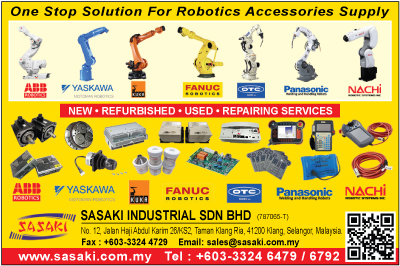 Our Mission to be the ultimate support provider in supplying and repairing complex electronic components and devices. We are professionally specialized in repairing and refurbishing any model of: Power Supply, Electronic Control Card, AC / DC Servo Motor, Servo Drive, Servo Amplifier, Inverter, PLC, Encoder, Touch Screen, Spindle Amplifier, Other machineries application mostly used in manufacturing industry.